Posted byPaul	 April 12, 2014 April 12, 2014 4 Comments on Sail on Salinger. Over the last decade no writer has had as much of an impact upon me as Jerome David Salinger. At a time when I wanted to be misunderstood and dark, when nobody seemed to get me and when I didn’t fully understand myself I was given a copy of Catcher In The Rye. Since that moment I have been lost to the magic of the New York of Holden Caulfield’s description; the cab rides, the bars, the women, the phonies. I had never read anything like it. When I got round to Franny & Zooey, and eventually Raise High The Roof Beam and For Esme – With Love And Squalor I was amazed to find the Salinger style wasn’t exclusive to Catcher, there’s an aesthetic to his work, reoccurring themes of disengaged family, coming of age, religion and pop culture punctuate his work. As a writer I try to put a touch of this into everything I do, it’s a sickness that I have absolutely no intention on trying to cure. He got under my skin and in many ways helped me realise that what I ultimately wanted to do with my life was write. The most interesting or courageous thing about Salinger is his choice to disappear from the spotlight, to stop publishing and to cut himself off when the world wanted more, more, more. In many ways that is what drew me to the rumours that a collection of his short stories which had previously been unpublished had somehow leaked in the latter part of 2013. Salinger was notably cagey about the press and the publications of his work, which reports state was not to be released until 2060, fifty years after the writer’s death. The source of the leak remains dubious despite reports online, but the text has been confirmed to be genuine. I fought against reading it for just under a second, thinking it would be best to honour the requests of a man who felt he was being dragged into a spotlight he had never wanted for himself. This subsided and I found a working torrent like the dreadful fanboy I am. The first story, The Ocean Full of Bowling Balls is magnificent. 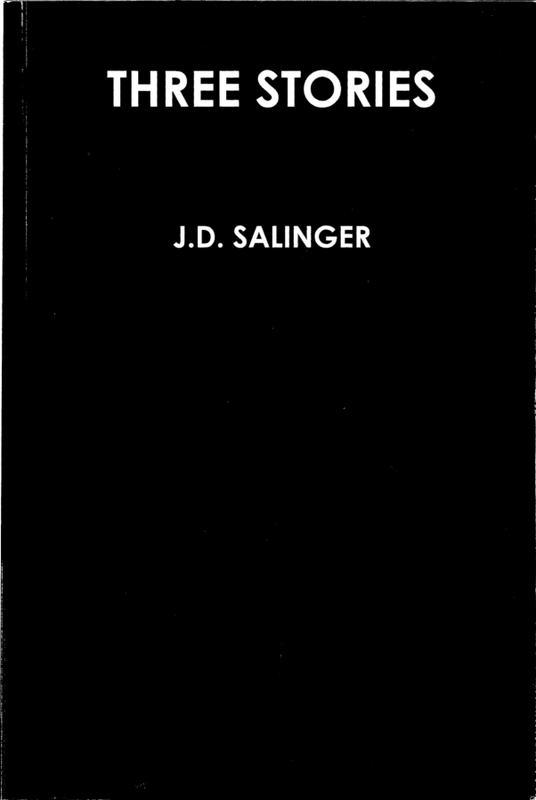 It features a letter that Holden Caulfield wrote home to his brothers Vincent and Kenneth (who would become D.B. and Allie in Catcher In The Rye) and a short story that Vincent is writing about a repressed husband only allowed to go out bowling once a week, and his wife’s discovery of an assumed affair after his death. Out of context it does not sound like much but to fans of his work, desperate for another crack in the mirror to appear, it is magnificent. Birthday Boy deals with another idea of Salinger’s, that of madness. It sees Ray in a hospital bed being visited by his wife who denies his requests for alcohol. It doesn’t feel as complete as Bowling Balls but the idea is there, and is another glimpse at what else could be hidden in the safe Salinger kept in his writing room. Paula is the most surreal of the three, and tells the story of a young couple trying to have a baby. When Mrs Hincher says she has fallen pregnant she insists on spending the entirety of her pregnancy in bed for fear of being run down by a truck or otherwise risking the life of their unborn child. The lesson is unclear, the point confused but it is just bizarre enough to be accepted. The key thing to remember with these three stories is that it could well be the tip of the iceberg. Salinger reportedly wrote for every day of his life but stopped publishing in 1965. There are any number of stories which are waiting for us. Whether his wishes are honoured and these do not receive publication for another fifty years remains to be seen but I will be waiting. Hi Paul. JD is under my skin too. I feel like I am late in the game to find a torrent of TOFOBB. Is there any chance you downloaded three stories and can share them with me?